John Rowe is an internationally respected recording Artist, DJ, Producer and owner of Hypnohouse Label Group. 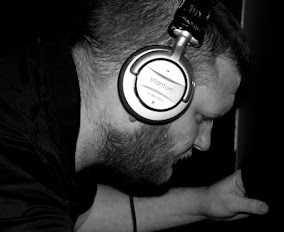 Born based in Newcastle upon Tyne (UK) although his unique brand of mesmerising techno music can be heard anywhere from the underground squat parties of the UK to the biggest clubs on the planet (Cocoon/Amnesia/Circo Loco/DC 10/ Ibiza/Boiler Room/Berlin). John is also known and respected for his solid remix work; having remixes over 60 artists to date. He has a residency on Fnoob Techno Radio and is also an avid record collector, which has lead to him spinning vinyl for numerous promoters and party crews accross the UK and Europe for nearly two decades. Fresh from launching his new vinyl label 'Hypnotech Records'John is busy preparing to take his new 'ODIC FORCE' project on tour in 2019. A brand new live show performed entirely on hardware, drawing influences from oldschool techno, New beat, acid house, EBM, early Industrial and rave, delivered in a hard and hypnotic techno framework.